The popularity of pole fitness is still growing at a fantastic rate and I would hate for any beginners to be put off by such articles and videos. That said, it can be a dangerous acrobatic exercise especially when people forget best practices! That's why in today's article I'm going to be sharing my top tips on how to stay safe on your pole, both in the studio and at home. As with any other form of sport, gymnastics or dance there is always a risk of being injured. That's no reason to ditch pole fitness entirely though. There are many different factors that contribute to dangers in pole fitness, the main one being a lack of safety measures being respected. With that in mind here are the seven deadly sins you should avoid when you're practising. #1) Do You Skip Your Warm Ups? Skipping warm ups is a frighteningly common occurrence in pole fitness. People will show up to their classes late and do less of a warm up than is required for their skill level, or when poling at home will often move straight onto pole work. Whether that's because they don't feel like they have enough time to fit one in or because they just couldn't be bothered it's a big no no! Warming up is so important for many reasons, from increased stamina and less risk of fatigue to decreasing the risk of injury. Similar to this and often skipped over is the cool down period, you should always stretch after a pole session. Again, this reduces the risk of injury. #2) Are You Hiding Behind Your Clothes? I'm often surprised in such a supportive and body confident industry that a lot of people don't want to show a little skin. In class this is usually a worry of beginners. Then we see clothing diminish as the student progresses and finds they need more skin to grip the pole for more advanced routines. At home though, this can be a whole different ball game. For some reason there are polers out there who don't even want to show a little skin at home. I'm sure this must be because of the lack of support and encouragement you would find in a group to aid your confidence. The reason this is dangerous is because some people, for one reason or another, have not understood that they must have their legs, arms and stomach uncovered in order to grip the pole. I couldn't have disagreed more, but she just wouldn't have it. This is a safety issue for anything more advanced than spins and floor work, at least until you reach a skill level where your arm and core strength can compensate for a little more clothing. So, if you are going to attempt more intermediate and advanced moves you must have the proper points of contact exposed. I'm sure no one shows up to their regular dance classes under the influence of drink or drugs, but outside of class is a different story. Along with the trend of Urban Pole comes the dangers of people attempting these dangerous moves after one too many drinks on a night out! Pole fitness is an aerial sport, we must remember that it has all the risks that come with that title, just as with other circus arts, gymnastics and so on. All too often the 'pole fail' videos you see across the web are a result of someone trying moves while drunk. Sometimes that's on a lamp post or street sign on the way home and sometimes it's because your friends fancied a twirl on your pole at home. Other times you might be tempted by the pole in a night club and decide it's the perfect opportunity to show off your skills! Wherever it occurs, it's important to remember that our reflexes and judgment are slow and inaccurate when we've had a few drinks, so it's best to avoid it until you're sober. There are so many places to find the correct technique online these days but there is also a lot of noise and confusion around it too. That's why it's up to you to collect as much knowledge as you can from online pole communities, instructors, YouTube tutorials and the like. 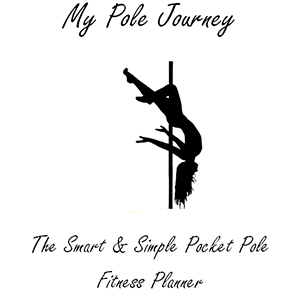 Read blogs, buy the pole fitness DVD's, collect knowledge from things your favourite pole dancers share on their fan pages. The more you learn, the more you can make a safe judgment on which techniques are correct and exactly what can be harmful and cause injury. So don't rush, take your time learning how to do things the right way. 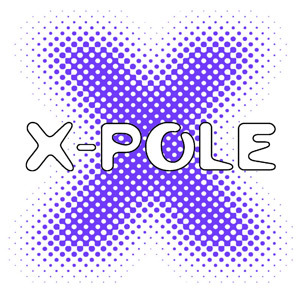 You heard me right, people are getting stuck in new moves and simply letting go of the pole! I've seen it in classes, where there is someone spotting and a student will fall into their arms without warning. This is not good for you or your spotter, so please don't let go. Find a safe way to exit moves you think you might struggle with before you get into them. Plan your escape route if you like! Can you do the trick closer to the floor or better yet, on the floor until you are comfortable and more confident with it? Is it easy to get down from the pole from that position? Are you going to be stuck and how can you get down without landing on your head or falling off? These are all questions you should be asking yourself before subjecting your spotter to your crash landing and even more so if you're poling at home with no one to spot you. #6) Where Is Your Crash Mat? If you answered that question with 'I don't have a crash mat' then you should definitely invest in one immediately. I can't stress enough the importance of crash mats, I myself am guilty of sometimes practising without one. That ended when I decided I was in the right position to try a new and advanced move I hadn't tried before. Because I had been practising without a crash mat there wasn't one present when I was ready to try something new, which also meant I bashed my knee pretty bad when I landed badly out of it. Luckily it's fine and it was just sore for a couple of weeks, but it could have been a lot worse! Lesson learned, and I hope you don't have to learn the hard way. There have been a lot of terrible accidents that have left polers severely injured, and a lot of horrific moments I've witnessed on YouTube where the poler was lucky to walk away with a broken collar bone. It is a dangerous aerial sport, and we should respect it as such. So please guys, pole safe and if you're waiting for your crash mat to be delivered be sure to substitute with at least something firm but comfortable to land on in the meantime. Last but not least is the seventh deadly sin. So many people skip over the basic foundations of pole fitness and try to move up through each trick and spin as fast as they can. While some studios cut the floor work and sexier side of pole dancing in favour of an approach more angled towards fitness and sport, that doesn't mean you should be cutting out the basics before you start leaping upside down into tricks. A lot of people see more advanced students and become too eager to invert before they have built up the strength to do so, which is incredibly dangerous and can lead to severe injury. You'll be all the more proud of yourself if you're executing a controlled invert that you've spent a long time training for and you'll come out of it less bruised too! There's plenty of spins, climbs and transitions to learn in the meantime while you're building your strength and flexibility, as Maddie Sparkle so perfectly put it; "Try to make everything look smooth and effortless. 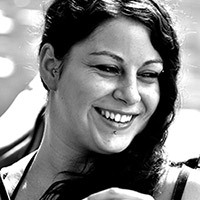 The transitions are just as important as the tricks." Then, when you do eventually feel properly ready to attempt any kind of invert at home you should attempt it from the floor first, it's better to be close to the ground if you come into difficulty holding yourself. I'm sure all of us have been guilty of at least one of these sins at some point in our pole journey, for me it was poling while painting the town red. Hopefully this list will stick in your mind next time you pole and make you more aware of what you are doing and what could be dangerous. The most important lesson to take away from this article is patience. Not warmed up yet? Too bad, be patient and get yourself warmed up. Did you cool down afterwards? Be patient, get yourself stretched out and cooled down before you finish your session. Got a cool trick to show your friends? Be patient, wait until you're sober. Don't know the proper technique? Be patient, ask someone, Google it, go and find out before injuring yourself. Stuck in a move upside down? Be patient, slide down awkwardly, whatever the exit - do not let go of that pole! Don't have a crash mat? Be patient, wait until you have one. Don't cheap out on safety and risk breaking your neck. 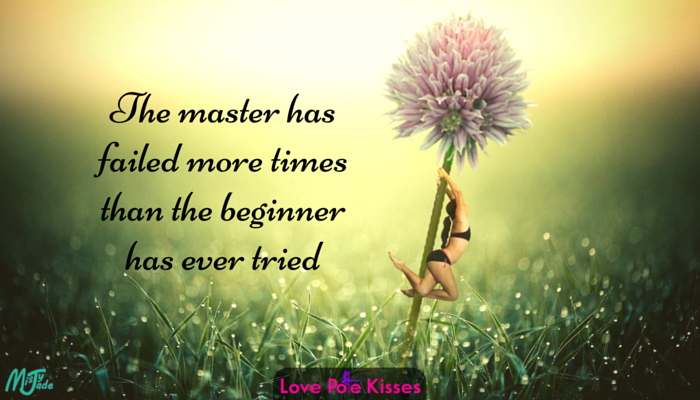 The biggest test on our patience in pole can be progression itself. Especially when you hit a plateau, which everyone does at some point in their journey. There are so many moves out there to learn and perfect, so focus on those transitions and making everything look smooth and elegant if you're not ready for those inverts yet! If you've seen any other recurring bad practises that you think we should be aware of please share them in the comments!